Why do living things and physical phenomena take the form they do? 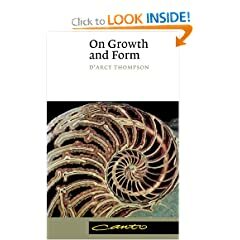 D’Arcy Thompson’s classic On Growth and Form looks at the way things grow and the shapes they take. Analysing biological processes in their mathematical and physical aspects, this historic work, first published in 1917, has also become renowned for the sheer poetry of its descriptions. A great scientist sensitive to the fascinations and beauty of the natural world tells of jumping fleas and slipper limpets; of buds and seeds; of bees’ cells and rain drops; of the potter’s thumb and the spider’s web; of a film of soap and a bubble of oil; of a splash of a pebble in a pond. D’Arcy Thompson’s writing, hailed as ‘good literature as well as good science; a discourse on science as though it were a humanity’, is now made available for a wider readership, with a foreword by one of today’s great populisers of science, explaining the importance of the work for a new generation of readers. Materials for Inspirational Design provides today’s designer with a myriad of material possibilities. 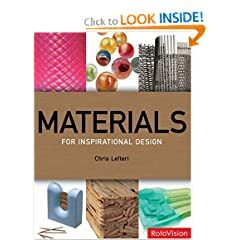 The book introduces the properties of wood, metal, glass, ceramics and plastic, all in an informative and inspirational format. The book covers a wide range of information its inclusion of both everyday, familiar products and those that are new, exciting and unexpected. The book is highly informative in that each application is introduced with detailed authorial comment, and numerous interviews with the designers and manufacturers are also included. The book covers a wide range of areas, exploring the application of materials in architecture, interior design, product design, furniture design, fashion and applied arts, all combined with solid technical information. There are many different ways in which a product can be manufactured, but most designers probably know only a handful of techniques in any detail. Using contemporary design as a vehicle to describe production processes, this book covers a broad range of almost 90 production methods with descriptive text, specially commissioned diagrams, product shots, and photographs of the manufacturing process. It will appeal not only to product designers involved in lighting, consumer electronics, packaging, domestic accessories and tableware, but also to interior designers, furniture and graphic designers who need access to a range of production methods, as well as to all students of design. Multitude of strangely beautiful natural forms: Radiolaria, Foraminifera, Ciliata, diatoms, calcareous sponges, Siphonophora, star corals, starfishes, Protozoa, flagellates, brown seaweed, jellyfishes, sea-lilies, moss animals, sea-urchins, glass sponges, leptomedusae, horny corals, trunkfishes, true sea slugs, anthomedusae horseshoe crabs, sea-cucumbers, octopuses, bats, orchids, sea wasps, seahorse, a dragonfish, a frogfish, much more. TO FIGURE: To form or shape, to trace, to reckon or calculate, to represent in a diagram or picture, to ornament or adorn with a design or pattern. The Institute For Figuring is an educational organization dedicated to enhancing the public understanding of figures and figuring techniques. From the physics of snowflakes and the hyperbolic geometry of sea slugs, to the mathematics of paper folding and graphical models of the human mind, the Institute takes as its purview a complex ecology of figuring. Our activities include lectures, publications and exhibitions. 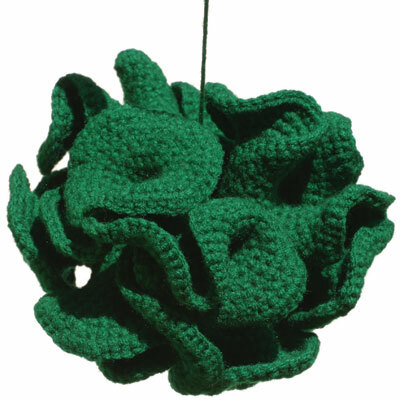 Mathematical ideas have been used as inspiration for a number of fiber arts including quilt making, knitting, cross-stitch, crochet, embroidery and weaving. 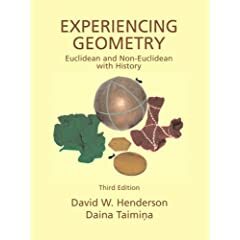 A wide range of mathematical concepts have been used as inspiration including topology, graph theory, number theory and algebra.